Serena Williams attends the 2019 Vanity Fair Oscar Party following the 91st Academy Awards at The Wallis Annenberg Center for the Performing Arts in Beverly Hills, Los Angeles, on Sunday. 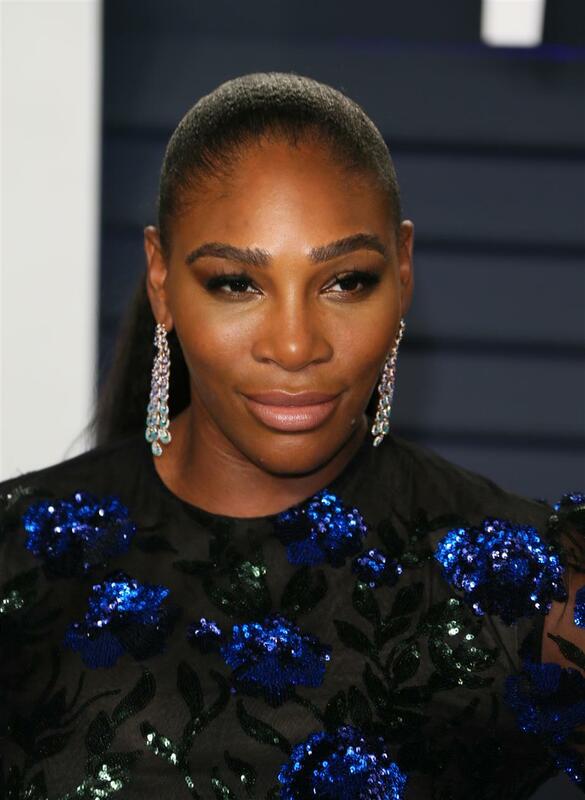 The Australian Press Council has ruled there was no breach of its standards of practice in a cartoon of tennis star Serena Williams which attracted global condemnation after being published by Melbourne's Herald Sun newspaper last September. The depiction of Williams by cartoonist Mark Knight showed the 23-time major winner reacting angrily during her loss to Naomi Osaka in the final of the US Open. Williams is depicted with her mouth open wide, hands in fists and jumping above a broken tennis racquet and a baby's pacifier. The umpire was shown telling a blond, slender woman — meant to be Osaka, who has a Japanese mother and a father from Haiti — "Can you just let her win?" In a ruling published on Monday, the Australian Press Council said it "acknowledged that some readers found the cartoon offensive" but said there was sufficient public interest in commenting on the behavior of a player with a globally high profile. "Specifically, concern was expressed that the cartoon depicted Ms Williams with large lips, a broad flat nose, a wild afro-styled ponytail hairstyle different to that worn by Ms Williams during the match and positioned in an ape-like pose," the council said in a statement. "The council considered that the cartoon uses exaggeration and absurdity to make its point but accepts the publisher's claim that it does not depict Ms Williams as an ape, rather showing her as 'spitting the dummy,' a non-racist caricature familiar to most Australian readers." The Washington Post criticized the cartoon at the time of its publication as reflective of the "dehumanizing Jim Crow caricatures so common in the 19th and 20th centuries". Knight told the Australian Broadcasting Corp on Monday he was "very happy" with the council's ruling. The newspaper "said that the cartoon was not intended to depict negatively any race or gender and was drawn in a style that the cartoonist has drawn over several decades and was only intended to be a 'sporting cartoon' for the publication's local readership", the press council said in its findings. During the final against Osaka, Williams got a warning from the chair umpire for receiving coaching from the sidelines. An indignant Williams emphatically defended herself, denying she had cheated. A short time later, she smashed her racquet in frustration and was docked a point. She protested and demanded an apology from the umpire, who penalized her a game.